Bute Advice Centre's headquarters in Bishop Street in Rothesay are located on the first floor of this building, above Royal Mail's local sorting office. Bute Advice Centre has issued an appeal for volunteers to help deliver its services in the community. 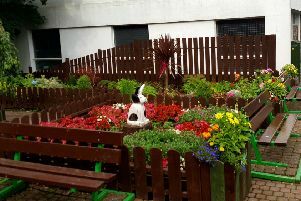 The centre, which is based in Bishop Street in Rothesay, is particularly keen to recruit volunteers to help provide administrative support, and to assist with the falls prevention classes it delivers at the island’s retirement housing complexes. In her monthly report on the centre’s activities, manager Julie Semple says: “On Monday 13th April we will be attending the Volunteer 4 Bute open day at the Moat Centre, where local people can come along and see what volunteer opportunities are available island wide. The Moat Centre event on April 13 runs from 10am to 1pm; entry is free, and all interested members of the public are welcome to attend.